The holidays are meant to be a joyous time of year spent surrounded by family and loved ones. When your life has been affected by divorce, however, that’s not always how things go. Many divorced dads are forced to spend the holidays separated from their children, and that can cause excruciating heartache, especially when this is your first holiday season as a divorced father. Those feelings of happiness are replaced by loneliness, sadness, and a longing for the way things used to be. Although it won’t necessarily make it easier, it’s important to understand that those emotions are natural and are part of the healing process. At DadsDivorce, you can find numerous articles and videos with tips on how to make it through the holidays after divorce. At DadsDivorce, we strive to provide a community you can turn to for support during difficult times. 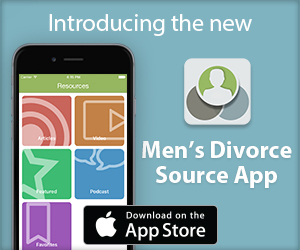 On our Men’s Divorce Forum, you can communicate with other dads who have gone through just what you’re experiencing. They can help give you coping tips or just lend a listening ear if you need someone to vent to. Hopefully, you’re able to spend this time of year in the company of those who matter the most to you. For those of you who aren’t that fortunate, just remember that you are not alone and people are here for you. 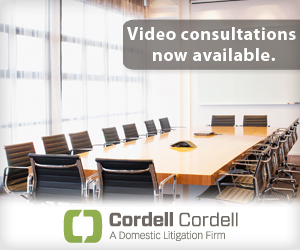 Happy holidays from DadsDivorce and DadsDivorce sponsor Cordell & Cordell.